The electric vehicle (EV) will bring a real change in our way of life. Several elements suggest that 2017 will be a pivotal year: the commitments by some countries to end the sales of cars with a combustion engine (France, United Kingdom), the lower production costs (which brings EVs closer to the cost of the production of classic cars), the multiplication of recharge solutions that contribute to their popularization. According to some estimates, there should be some 140 million electric cars by 2035, which will create a very large market. The EV will profoundly alter the automotive sector as an electric motor is much easier to manufacture than an internal combustion engine. As a result, the electric motor and the electric vehicle will have an impact on the raw materials sector, especially the mining sector. Three raw materials (metals) will attract special attention: copper, lithium and cobalt. Electric vehicles need four times more copper than conventional vehicles. 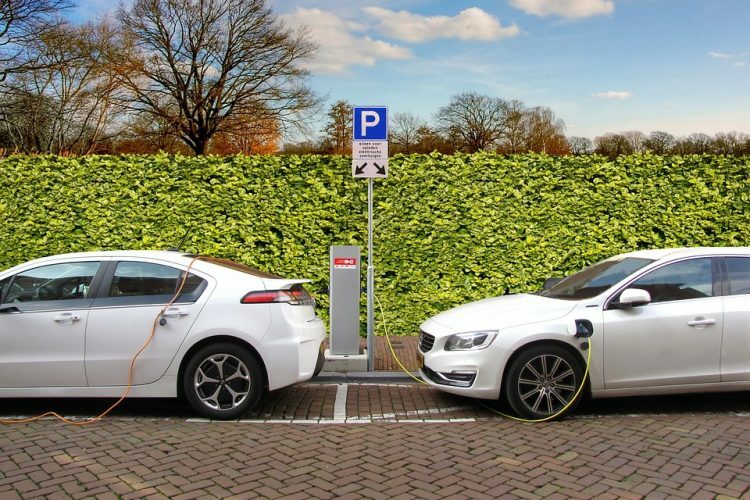 The EV’s impact on the mining sector will thus first appear through additional copper demand. However, the current context for copper is more a matter of shortage than abundance: the existing mines are aging, the deposits are dwindling, and there have been no major discoveries for at least two decades. Significant investments will therefore have to be made in the existing mines. Lithium will be the other metal whose importance will continue to climb with the raise of the electric car. It is very often characterized as a “strategic element” both by general and specialized press. Its reserves are large and generally known, but they will require significant investments to develop the necessary production capacities. The last important metal will be cobalt. Faced with the risks in the DRC (the world’s largest producer), new mines are announced elsewhere, in Europe for example. Car manufacturers are aware of its strategic importance and are already launching purchase options on cobalt for 10-year periods (Volkswagen is the latest example). The manufacturing of electric vehicles will therefore become a significant opportunity for the mining sector. In addition to the mining companies, contract mining companies, as well as other companies involved in the construction of mining infrastructure, will benefit from this upturn. Many of these opportunities will be found in Chile, by far the largest producer of copper in the world. Yet, the ore in its open-pit mines shows a weakening copper concentration, which increases the cost of extraction. The solution will be found underground, where there are significant quantities of high-grade ore. This will require significant investment in the construction of underground wells and galleries. It should be noted that the first projects for the construction and operation of these underground extensions are already underway in the mines of El Teniente, Escondida and Chuquicamata (to give only a few examples). Several tens of kilometers of tunnels have already been built, and this is only the beginning. Lithium is also an already confirmed opportunity. According to Bloomberg’s 2016 estimates, the production capacity of lithium-ion batteries will increase by 270% by 2021. An electric vehicle requires between 20 and 60 kg of lithium (51 kg for Tesla Model S for example). This perspective for lithium consumption will significantly increase the demand for lithium (and for cobalt, an essential ingredient in Lithium-Ion batteries). The main reserves of lithium are in Latin America, in Bolivia (50% of the world’s reserves), in Argentina and in Chile (already the second largest producer in the world). New mines will have to be developed and they will have to take in account important environmental issues. Other countries also have significant reserves, such as Serbia, where the development of Jadar, a new underground mine, is expected to start before 2020. This mine alone could meet up to 10% of global demand according to Rio Tinto, the mine developer. It is therefore obvious that these developments will offer significant opportunities for companies that build infrastructure for the mining sector. But for the commercial approach of these projects, the knowledge of the countries concerned and of the mining companies working will be essential.